Hard Disk Sanitization is the process of deliberately, permanently and irreversibly removing or destroying the data stored on a memory device to make it unrecoverable. A device that has been sanitized has no usable residual data, and even with the assistance of advanced forensic tools, the data will not ever be recovered. 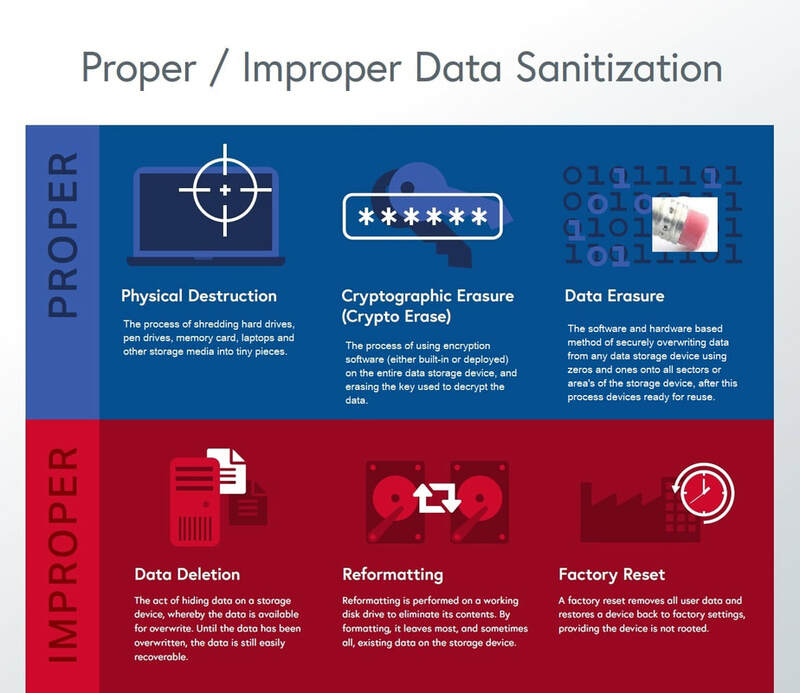 There are three methods to achieve data sanitization: physical destruction, cryptographic erasure and data erasure. Data erasure is the software and hardware based method of securely overwriting data from any data storage device using zeros and ones onto all sectors of the device. By overwriting the data on the storage device, the data is rendered unrecoverable and achieves data sanitization. Data erasure also supports environmental initiatives, while allowing organizations to retain the resale value of the storage devices. 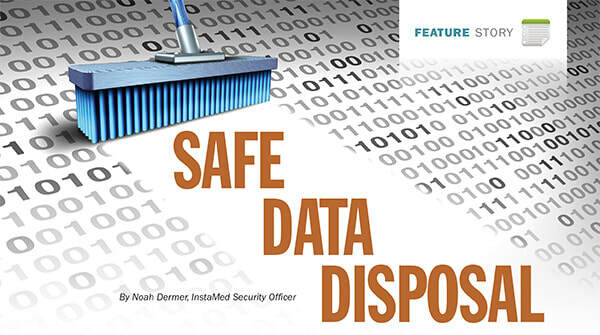 Data erasure, however, is a timelier process than other forms of data sanitization. And, data erasure forces organizations to develop policies and processes for all data storage devices. Data erasure is the highest form of securing data within data sanitization, due to the validation process for ensuring the data was successfully overwritten. Data erasure ​methods have been proven to render the data on the appropriate storage devices unrecoverable. NOTE - Physical destruction can be harmful to the environment and destroys the assets so they are unable to be reused or resold. ​Data lifecycle management (DLM) is a comprehensive approach to managing the flow of an information system’s data and associated metadata from creation and initial storage to the time when it becomes obsolete and is destroyed. Create – New digital data is generated, or the existing data is altered/updated, which includes any data/content element—not just a document or database. Store – The digital data is committed/stored to some sort of storage repository (such as laptops, mobile device, servers or in the cloud), and typically occurs nearly simultaneously with creation. Use – Data is viewed, processed or otherwise used in some sort of activity. Share – Data is made accessible to others, such as between users, both internally and externally, including customers and partners. Archive – The data leaves the ‘active’ state and migrates to long-term storage systems for retention. Yash data erasure service can be applied to storage media at end of life or for existing media that needs to be reused. Data erasure service is non-destructive and completely and irrevocably erases data without affecting storage media. If, however, storage media is damaged or has reached end of life then our data erasure will extend to data destruction and disposal of storage media in an environmentally safe and secure way. Call us to know how you can ensure peace of mind and comply with laws in erasing data from media in a fast, effective and guaranteed way.